CHVRCHES play Coachella this April. Scottish trio CHVRCHES, today, released a new song which will be featured on the Motion Picture Soundtrack for Vampire Academy. The song is called "Bela Lugosi’s Dead" by Bauhaus and it apparently was released way back in 1979. According to the music site Last.fm, the song is considered the first gothic rock song ever released. Of course, the song references one of the, if not, the most famous vampire star of all time - Bela Lugosi who died in 1956. Vampire Academy will be released on February 7th. 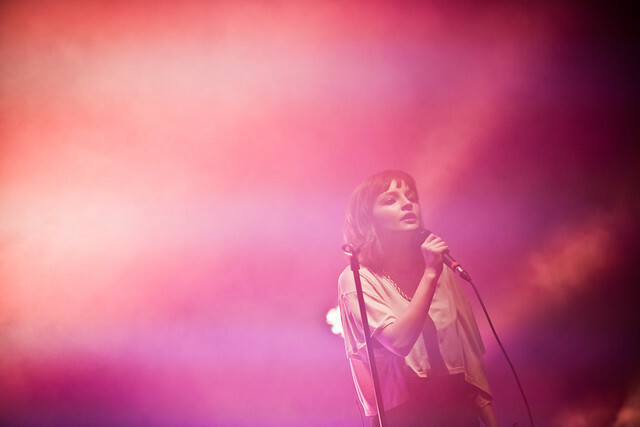 Chvrches, known for the electro-pop melodies, put their own special touches for this version and are currently on their European tour. They're scheduled to perform at this years' Coachella on April 12th and 19th.